Thread: What Is In Your Pipe? - April 2019. Looks like an alien to me. Kitchen clean up is completed after making Onion Soup and Chicken Salad. A jar of Va/VaBur/VaPer sourced from 15-20 day jars remnants I stopped smoking. Four bowls in the Meadows Cob. The sum is greater than the parts. Good Evening, Gentlemen! It's a become a bit warmer and the wind aloft has broken up the cloud cover, so now there's large clouds drifting by against a blue sky and bright sunshine. My thoughts and compassion are with the people of Paris as the great Notre Dame Cathedral burns. From what I saw from video on TV and the internet, the entire main roof is gone as well as most of the interior. Back in the workshop with a door open and Grover by my side. Now smoking a bowl of Wessex Brown VA Flake in the BBB Canadian and there's one last mugga java tucked under my jacket. GH&Co. 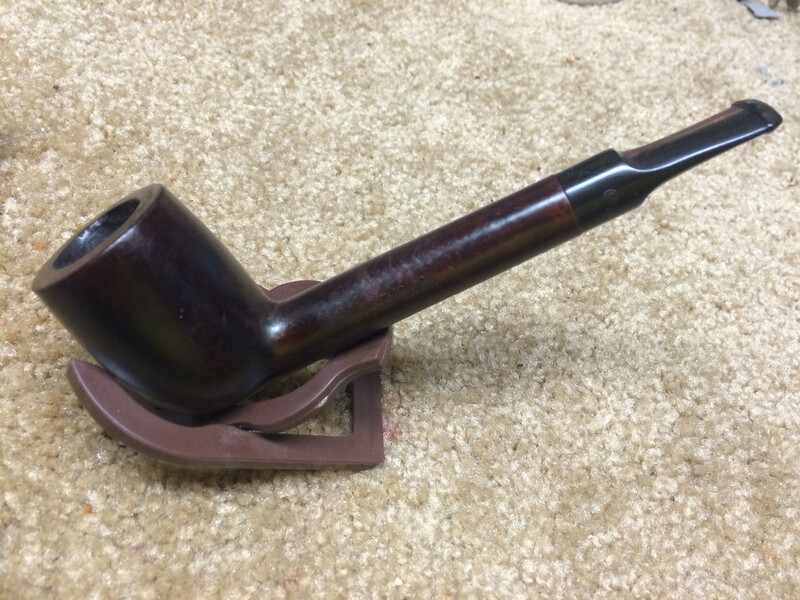 Louisiana Perique Flake in a Mastro de Paja. Eventually turned out to be a nice day when the sun fully came out. Enjoyed a bowl of Brebbia No8 while out at the countryside place and now having an after dinner bowl of Amphora Virginia in the City de Luxe. One bowl left in this pouch then I'll have to open the last one of the ten I bought. 40 Virginia in a Mauro Armellini and coffee.